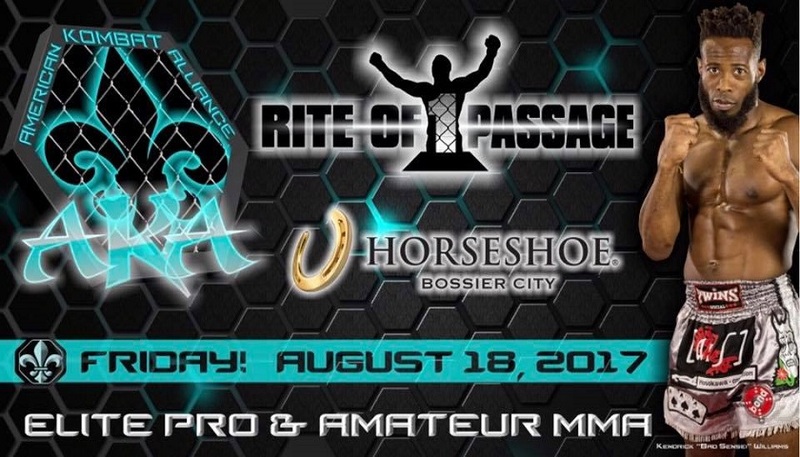 American Kombat Alliance will hold it’s debut feature event Rite of Passage 1, on Friday, August 18, at the Horseshoe Casino in Shreveport, Louisiana. The inaugural event will feature 10 fights, including seven amateur fights, three professional fights and the inaugural featherweight championship featuring Rocky Landry vs Kendrik Williams. The main card featuring the three professional fights will include a strawweight bout featuring Brandi Navarez vs Katherine Roy, flyweights Angel Zamora vs Zach Albritton and the inaugural featherweight championship featuring Rocky Landry vs Kendrik Williams. Roy enters her fight against fellow strawweight Brandi Navarez with a professional record of 1-1. Her first win came in 2016 against May Ooi by a unanimous decision at the World Series of Fighting Global Championship-Philippines. 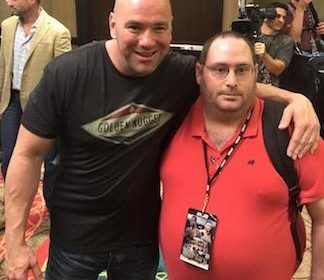 Her most recent fight was in March of 2017, falling to Mackenzie Dern by a unanimous decision at LFA 6 Junior vs. Rodriguez. Albritton, boasts an impressive amateur record of 5-0 and will be looking for his first win in AKA’s debut. Four of his five wins all came by unanimous decision, while his first amateur win came via KO/TKO at 2:28 in the first round. His opponent Angel Zamora is no stranger to the octagon as he enters in his 13th professional fight. While he is no stranger to the cage he is searching for his first win since 2015 against D’Nearon Seymore in Fury FC 8. Steven Iles is a South Louisiana native and proud to call the Bayou State home. He is a former Editor and Sports Editor for two small town Louisiana papers, that enabled him to turn a hobby into a career. Iles has a passion for the evolution of a fighter and will feature regional circuits and fighters as they strive to reach the UFC.